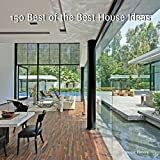 150 best of the best house ideas / Francesc Zamora Mola. By: Zamora Mola, Francesc [author.]. Publisher: New York, NY : Harper Design, an imprint of HarperCollins Publishers, 2016Description: 479 pages : color illustrations, plans ; 20 cm.Content type: text | still image Media type: unmediated Carrier type: volumeISBN: 9780062444639.Other title: One hundred fifty of the best house ideas.Subject(s): Architecture, Domestic -- United States -- Designs and plans | Architecture, Domestic -- Designs and plansGenre/Form: Print books. Brandywine House -- Three Trees House -- Alphington House -- Field House -- Holleb Residence -- Rock River House -- Emeral Star -- U-House -- Hopetoun Road Residence -- HO Residence -- State Street Townhouse -- JK Home -- Glebe Residence -- Link House -- Showhouse -- Victorian House Remodel -- Moore Park Residence -- House 3 -- Veranda House -- East Van House -- Alexandria Courtyard House -- Tresarca -- Brown Residence -- bm Modular One -- Fray Le�on House -- T House -- K�ubler House -- Retrospect Vineyards -- Shoshone Residence -- John Dodge Residence -- Port Ludlow Residence -- Russet Residence -- House of Shifting Sands -- Vidalakis Residence -- 4 Springs Lane -- Red Rock House -- Invermay House -- Brillhart House -- A Home In the Woods.